The Bear is one of the best known Soviet aircraft since the early 50s. With its sleek shape and super long range it came to be known as a very successful bomber. 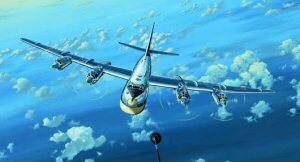 The aircraft is powered with four NK-12, one of the largest turboprop engines ever made, producing 12,000 shaft horsepower each. In order to translate that power into thrust, the Soviets employed counter-rotating propellers which became one of the signatures of this unique aircraft. The design Tu-95MS Bear H is based upon the Tu-142 (Bear F) with further enhancements to improve performance and with the necessary avionics to carry and launch the AS-15 (Kh-55) cruise missile. 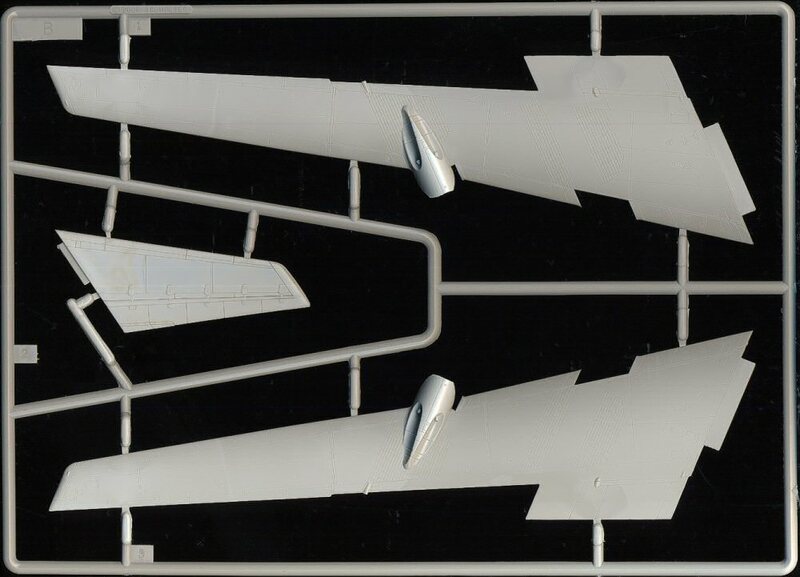 Unlike the previous modifications to the airframe that rendered some of the mission variants, the Bear H was the first full-production Bear aircraft since the 1960s, with series production of the type beginning in 1981. Its history is long with many variants and many stories. The aircraft is still in use today and will be around for years to come. 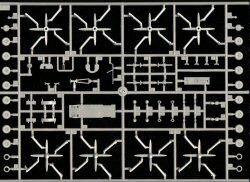 The Bear was first released by Revell in 144th scale long out of production but coming back again. 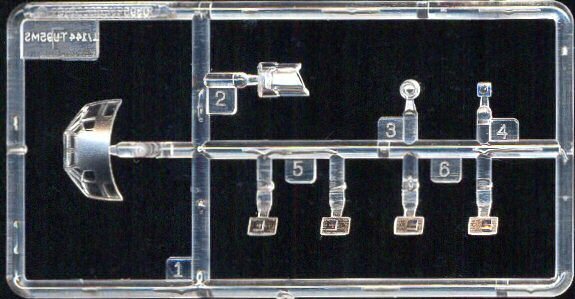 The Trumpeter kit is a brand new release and it is actually a scaled down version of their 72nd scale Bear. 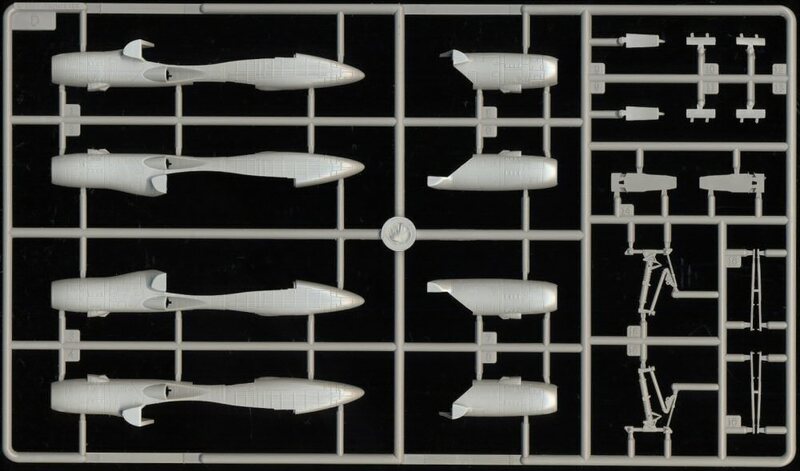 Those that have the bigger Trumpeter Bears will immediately see the model design resemblance. 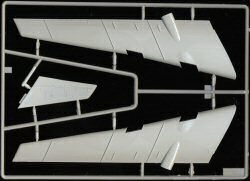 Some modelers did not agree with the wing root leading edge treatment and squarish look of the 72nd scale Bear. 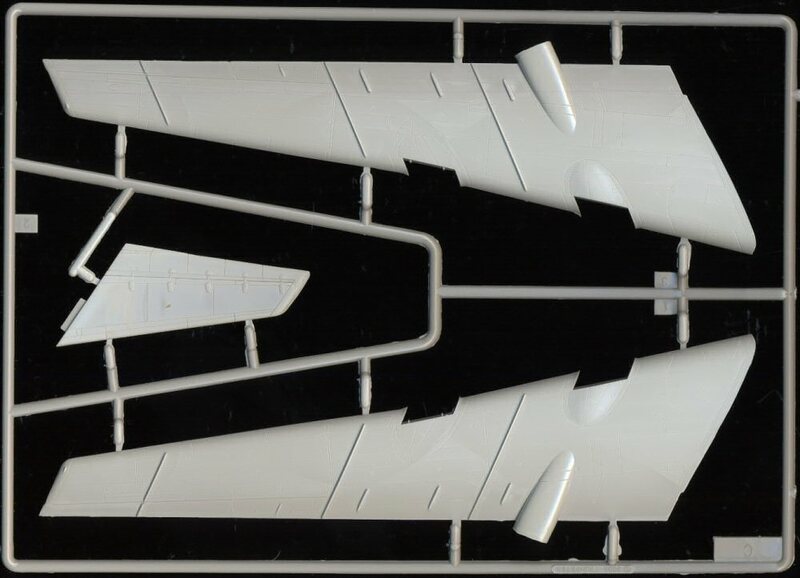 The smaller Bear is a scaled down kit and thus the look of the wing is the same. I like the Amodel Bear leading edge much better but then again, Amodel does not make a 144th scale Bear. 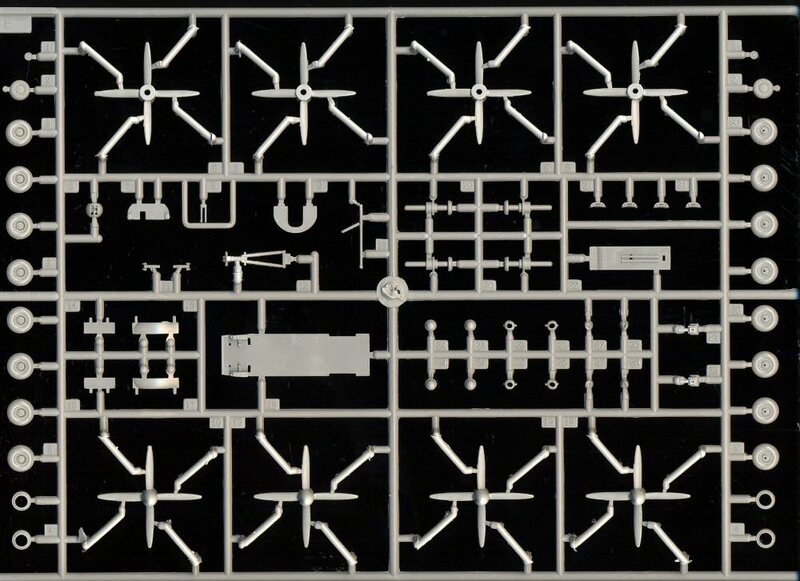 The model is very nicely done everywhere else with very sharp panel lines very nice quality molding and many parts for the scale (122 parts) in five main sprues and one clear plastic sprue. 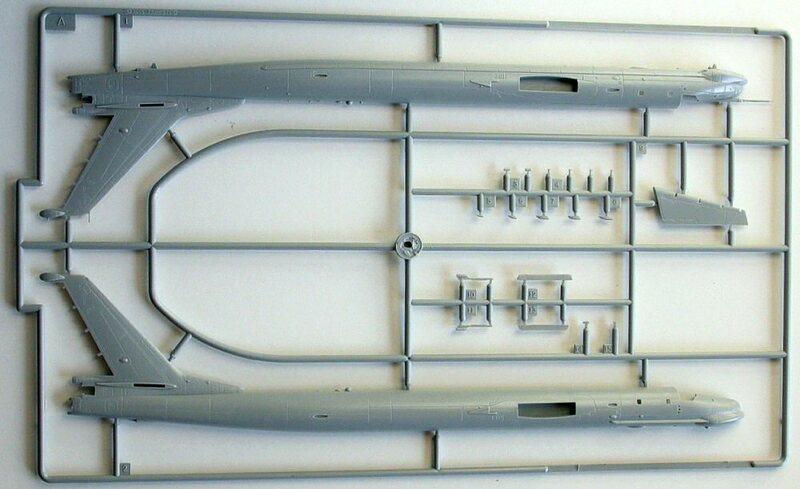 The cockpit provides all the basics and is more than adequate for the scale and with how little will show through the clear parts. 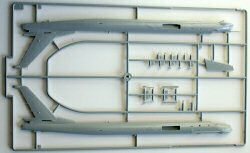 The fuselage has all the external cooling vents present and represented with small add on parts. The wheel wells are provided as separate entities on which to build the landing gear on and then insert into the fuselage or the engine nacelles. The landing gear detail is great for the scale. The external structural ribbing is very prevalent on the engine nacelles. The props can be made to spin but the instructions indicate to glue them in place. 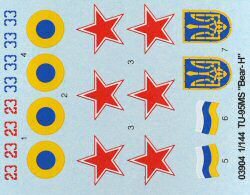 Two variants (Russian and Ukrainian) are provided in the decal set and the decal and paint instructions come in color. 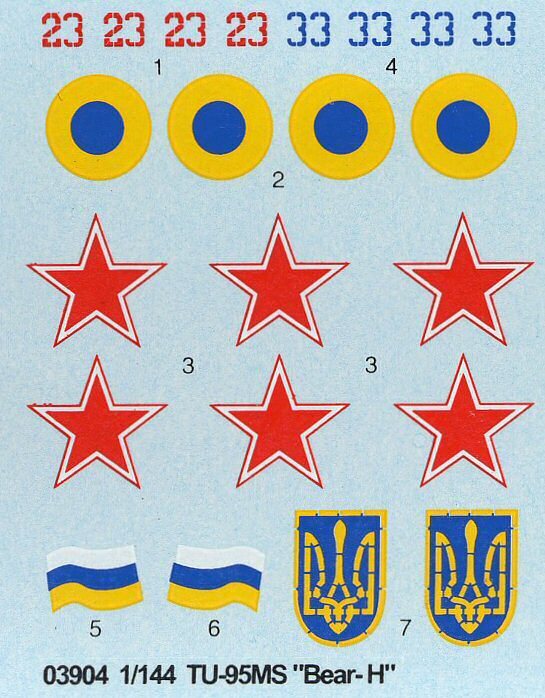 I cannot imagine why we should not see the Bear J in the same scale to mirror the 72nd scale releases. The kit is beautiful and very much recommended.